This was our first project for Club 10 - Jo Morton. The pattern is called Point of View! Yes, I used purple as the setting triangles. 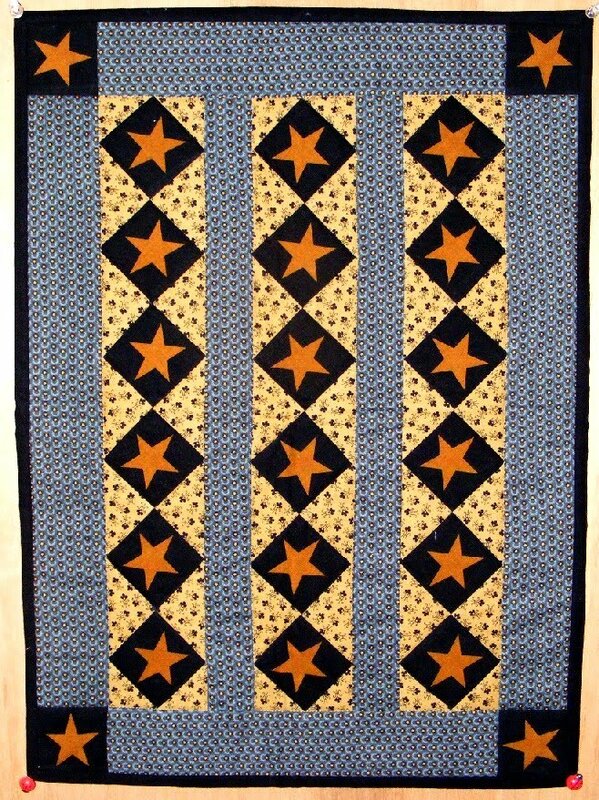 I neglected to show you another small quilt I made from the very first club I hosted at the Shoppe. The pattern is called Patriotic Strippy. I call it Seeing Stars! I love that large star print. 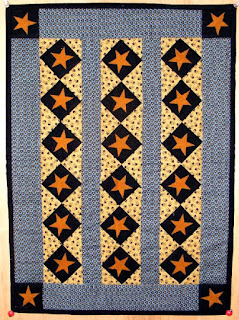 It is the exact one Libby, from A Simple Life, used to make curtains in her New England laundry room. That's when I fell in love with it! Jennifer also made a valence for one of the Shoppe's window. It has such a country feel! Both are wonderful. I really like the purple in the first one. They are both so cute! I really love the addition of the purple in the first one. 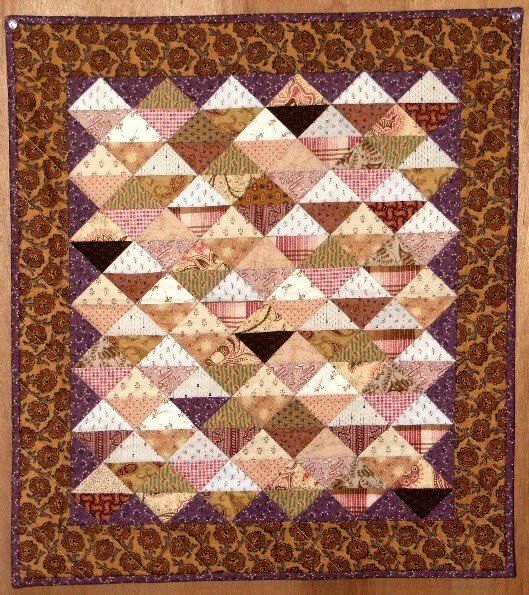 Love the little quilts. Do you hand or machine quilt the tiny pieces? I really like the purple in your Jo's quilt. I can never get enough of those little quilts, yours are wonderful. I love the purple setting triangles! I made that star one a few years ago! I love those little quilts. Lovin' the colors and the design.